I thought some might want to see what the damaged Regional Jet CRJ looks like today, several days after it collided with a much larger jet. 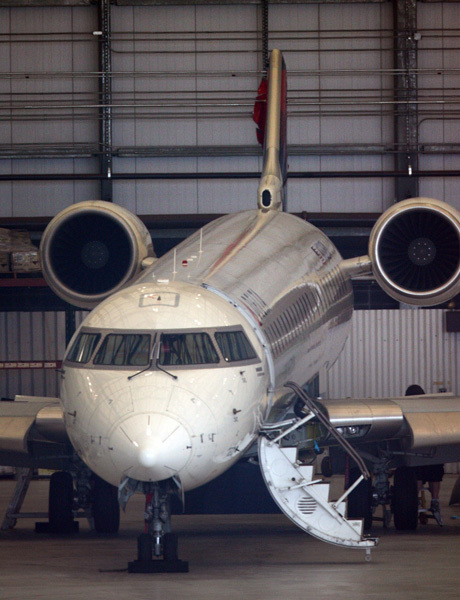 I snapped these photos late yesterday as the jet was being worked on at Logan. 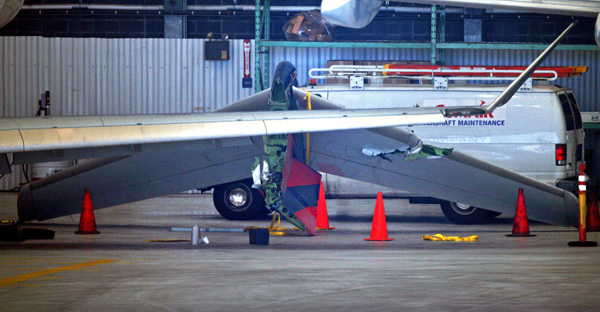 Notice the part of the tail section laying upright on the ground. Naked Guy Seen Down By the Banks of the River Charles. 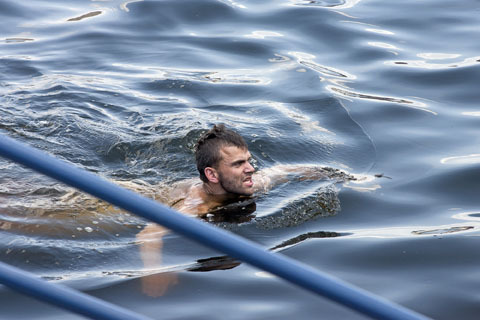 I photographed this man who, according to a Cambridge police dispatcher’s radio transmission, stripped and jumped into the water from near the intersection of the Mass. Ave. bridge and Memorial Drive. 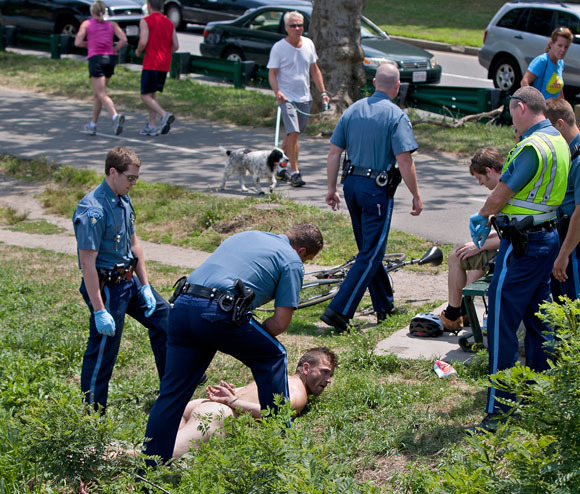 I caught up with him on the Storrow Drive side where Massachusetts state police troopers were waiting for him.